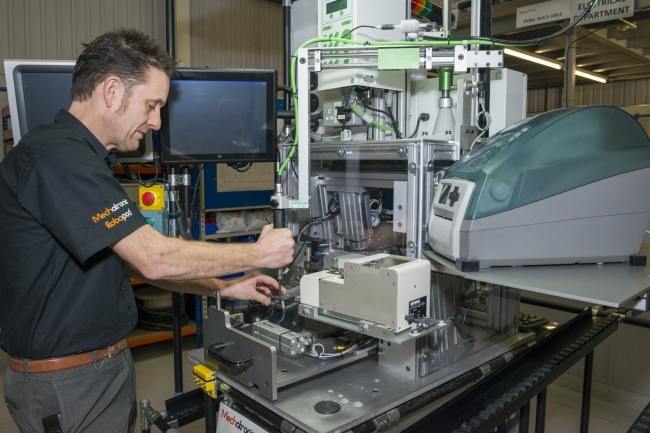 Mechatronic Solutions, which employs 50 people at its Kings Norton facility, has secured £1.5m of new orders to supply assembly systems for self-administering drugs, a robotic sensory test facility and new machines that will help companies assemble parts for one of the UK’s leading car makers. This recent growth will see the company hit £7m in annual sales in 2018 and underlines industry’s growing desire for robotics, automation and integration of Industry 4.0 into its manufacturing processes. To mark its big birthday, the firm hosted a special open day to give customers and suppliers the opportunity to gain an insight into its different solutions, including the standardised robotic platform from sister division Robopod®. Mechatronic Solutions’ ‘anniversary’ open day gave clients the opportunity to discuss potential applications and new projects, with the emphasis on payback planning, understanding how automation can increase productivity, efficiency and reliability. Live demonstrations included the opportunity to see AIV (autonomous intelligent vehicles) working as an interactive robotic fleet, plus digital twinning and data collection. The future of manufacturing emerged as a key theme, with smart factory and Industry 4.0 being illustrated by the company’s latest solutions and exhibitions from selected technology partners. Special guests at the open day included Andy Street, Mayor of the West Midlands, who congratulated the company on its 30th anniversary. “Mechatronic Solutions has been at the forefront of advanced engineering for three decades, which is a tremendous achievement. 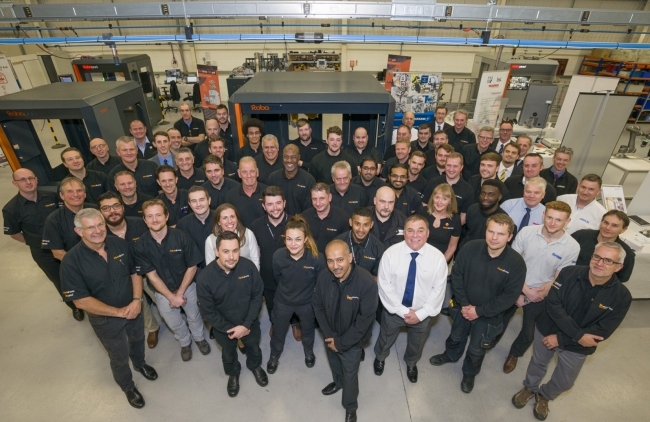 Established in a small unit in Birmingham in 1988, Mechatronic Solutions has recently completed its 1500 project, with demand for product innovation, capital investment and application of new technology helping fuel 400% growth in the last five years. 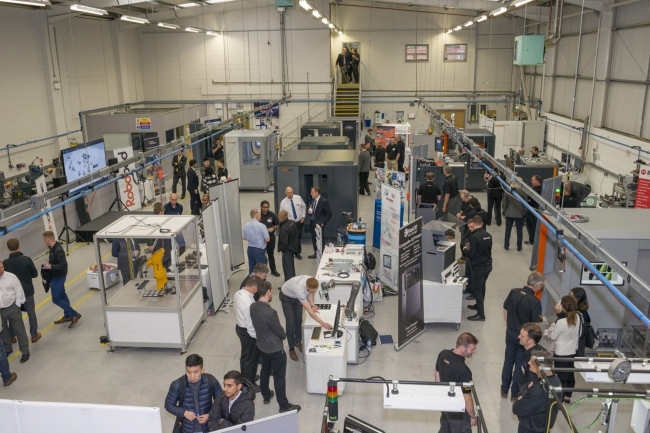 Industry’s move towards digitised factories represents a major opportunity for the business and more than £1m is invested annually in R&D work, ranging from new additions to its Robopod® suite of products to digital twinning and closer integration of artificial intelligence into daily manufacturing functions. Richard concluded: “30 years in business – including the global recession of 2009 – is some achievement and our staff have played a crucial role in our development. The plan now is to maximise our global reputation and lay the foundations for another three decades of success. “A great example of this is digital twinning, which is designed specifically to automate production of the future. It gives manufacturers the opportunity to simulate facilities in real-time so that they can see the parts and data that the manufacturing process is creating.